The new brewery and pub will be here – at the Research and Technology Park mauka (uphill from) the Piilani Highway at Lipoa. Maui Brewing, whose brew pub is located in Kahana, several miles north of Kaanapali, has announced plans to build a new and much larger brewery and brew pub at the Kihei Research and Technology park off the Piilani Highway. Located on a five acre site, the brewery will be about 33,000 square feet and the brew pub another 8,000 square feet. It’s staff is expected to eventually double in size to about 130. Once the new brewery is finished, Maui Brewing will vacate their current leased space in Lahaina and do all their brewing in Kihei. Don’t worry – the Kahana brew pub will continue to quench the thirst of west Maui locals and tourists. We, at Maui Vista 2418, are pretty darn excited about having Maui Brewing in Kihei. Unfortunately, with the site about 2.5 miles from Maui Vista, it’s probably too far to walk for lunch. Also, since new construction takes time, it will be well into 2014 before the new pub is open. So, in the meantime, I guess we’ll keep driving to Kahana because they truly have the best beers, ciders and root beer on Maui. For more on Maui Brewing, click here. 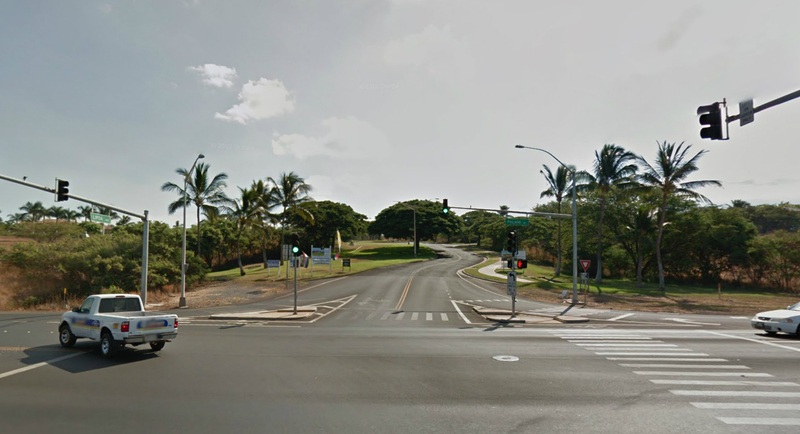 Driving from Maui Vista to Lahaina Town takes about 40 minutes in light traffic. 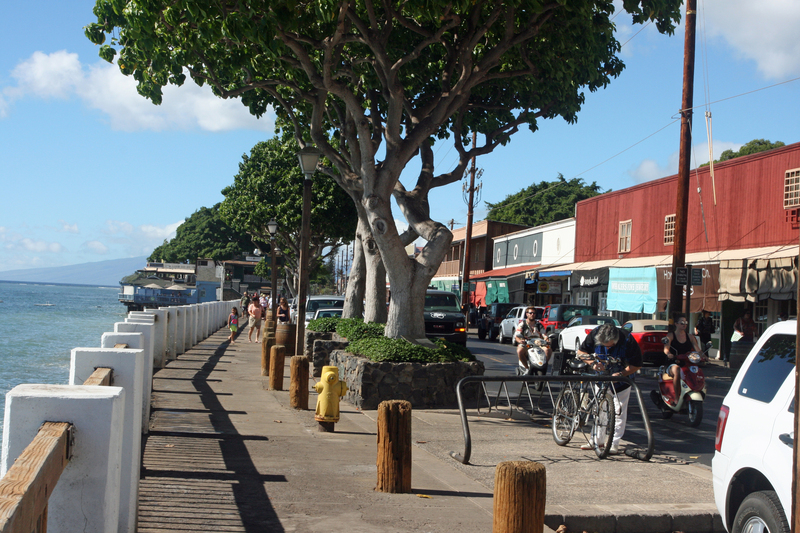 The one time home of the Ali’i (Hawaiian royalty) and port of call for whaling ships, Lahaina is now the home of restaurants, bars, souvenir shops and a port of call for cruise ships. Ticky tacky is next door to fine art; fine restaurants near national chains (think Bubba Gumps and Hard Rock Cafe). If you’re into nightlife, this is a good place to go. During the day there are people everywhere and free parking (almost) nowhere. Unless you’re lucky, you’ll pay for parking. 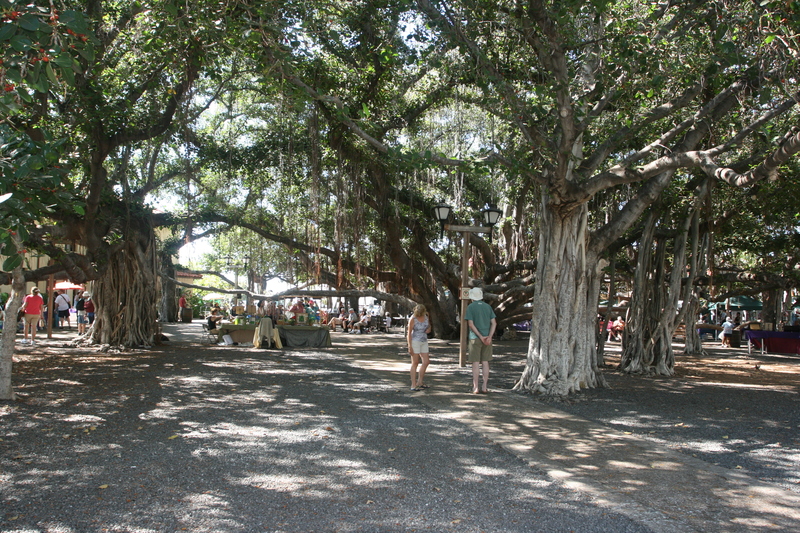 A not to miss sight in Lahaina is Banyan Tree Park on Front Street near the south end of “downtown.” Planted in 1873, the Banyan tree spreads by dropping new roots from ever spreading branches. Various historic sites are around the square and adjacent courthouse. A fun place to visit with lots of choices for lunch, dinner, or a tempting gelato. Great people watching and one stop shopping for Maui souvenirs, postcards, or a big splurge.